Jawa Motorcycles announced its return to the domestic market on November 15 after a hiatus of many decades. 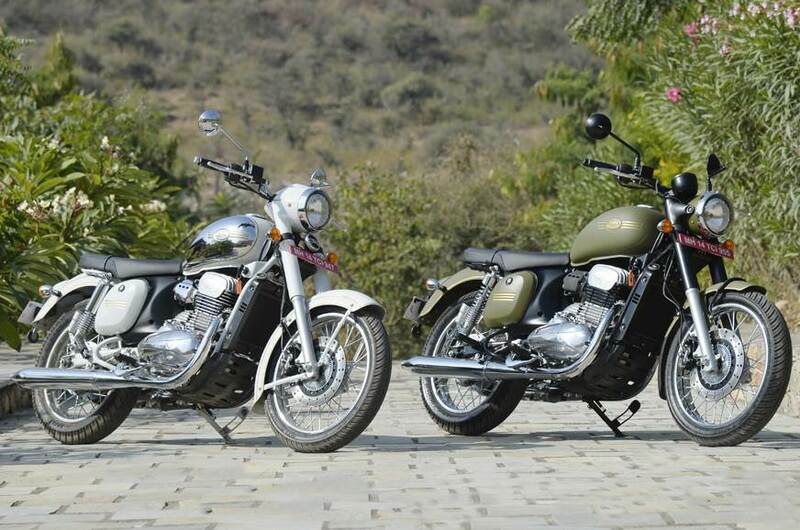 The Czech brand made an immediate impact by debuting three motorcycles and it was clear from the get-go that Royal Enfield’s entry-level 350 models such as Classic 350 and Classic 500 are primary targets. The company’s rejuvenated fortunes are harbingered by namesake Jawa classic, Forty Two and the rather unique Perak bobber. The latter was said to be in its final developmental stages before officially entering the market sometime later this year while the Jawa and Forty Two’s bookings kicked off instantly. As Jawa began establishing its dealerships across the country, the booking numbers have soared. The overwhelming response received from customers resulted in Jawa closing bookings for both the models from the midnight of December 25. Disappointingly, Jawa did not disclose the amount of booking being registered. In its current phase, Jawa has continuously been setting up showrooms across India to reach its target of over 100 dealerships initially. The Jawa and Forty Two are sold out till September 2019 but you can still visit the nearest dealer and book them for a token of Rs. 5,000 with deliveries post September as the production is being sped up. For the buyers who have come at the earliest, Jawa will likely commence deliveries by the end of this month and customers wanting to own ABS-equipped variants may have to wait until July 2019. To make the buying processes easier, Jawa has arranged exchange schemes and finance options as well. Jawa and Forty Two derive power from 293 cc single-cylinder liquid-cooled engine, which is good enough to produce a maximum power output of 27 bhp and 28 Nm peak torque, and is connected to a six-speed transmission. Despite using the same engine, the models have different riding characteristics to stick by the variation in their styling approaches.